Professor Brendan Godley will talk through his esteemed international career in sea turtle conservation from undergraduate researcher to professional scientist. He will highlight how despite technological innovation, we still need to get out into the field. 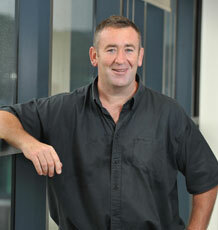 Brendan is a conservation scientist with wide ranging interests in biodiversity conservation. His research largely focuses on the study of marine vertebrates (turtles, mammals, birds and sharks). He has been active in sea turtle conservation for 30 years, beginning on an undergraduate expedition to Trinidad and Tobago in 1989. In the last few years, he has spent more efforts on interdisciplinary approaches to conservation research, including focussing on the issue of microplastics in our oceans. Brendan joined the University of Exeter in 2003 to help launch the Penryn Campus.